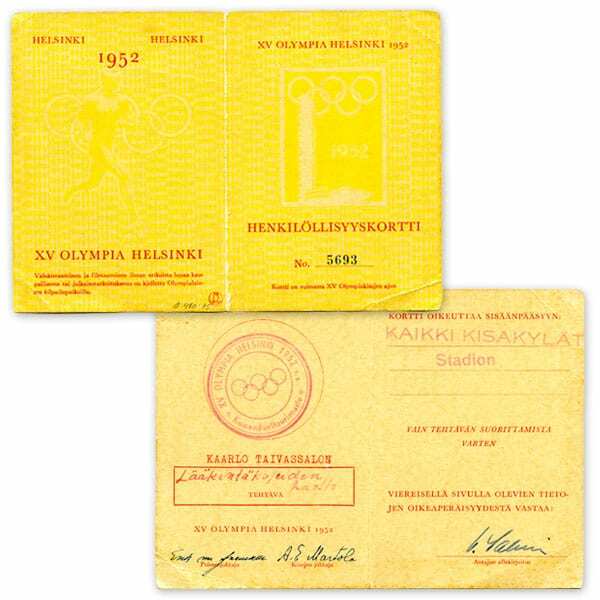 Description: Identity card of the 1952 Olympic Games. Yellow. Number 5693. Other information: The card belonged to Kaarlo Taivassalo (maintenance of medical equipment).